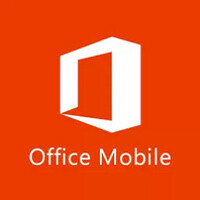 More than a month ago, Microsoft launched its Office Mobile application for iPhone, and now finally it has arrived on Android’s Google Play. The application itself is free, but it requires a paid Office 365 subscription. Microsoft’s Android application looks pretty much identical to the iPhone one, with modern clean visuals. It brings an optimized version of Microsoft Word, Excel and PowerPoint, and allows you to create documents and stylesheets. If you do have an Office 365 subscription it would definitely be a no-brainer as it supports all sorts of formatting and you can both view and edit your documents on the go. All that formatting is fairly basic, though, and deeper options are not available. The Android Office application however comes with one huge downside - it does not work on tablets. We don’t know whether this is a coincidence or something that’s deliberate given how quickly tablets replace traditional Windows based computers. Microsoft currently does not have any plans to bring the app to Android tablets. The Office app makes a debut in the US Play store today and is coming to 117 additional markets with 33 new languages over the coming days. Microsoft is shooting itself in the foot, in my opinion, to not take advantage of having your bread and butter (Ms office) on as many devices possible ( MS never made PCs it just supplied the os and business software < which got them in trouble with many governments >) is a absurd decision. Microsoft is first and foremost a software manufacture who is having a very difficult time trying to transition to be both a hardware and software manufacture. I guess they forgot about all their antitrust issues in the late 80' and early 90's. For the first time android has now become a viable platform beyond the mobile and consumption. Yes, because having MS office support means I all of a sudden can edit office docs. Nope, there weren't any office programs at all for android. None. While yes there have been third party apps. This goes far deeper. MSFT didn't have to create versions for ios and android but made the choice to invest time and money into the competitions OS. That means they are starting to feel the pressure. This has nothing to do with quik office ir documents to go etc. OK, Microsoft, I I'm going to edit documents with or without you... Looks like it will be without you. yet another example of MS screwing up. Do they somehow in their twisted little brains think that if they keep Office products from iOS or Android tablets, that consumers will flock to windows tablets? Um.. NO. As was said in a previous comment.. MS should be trying to get Office out in front of as many people as possible. If there is a clever way to tie it back to the desktop OS, it could actually help PC sales. Apart from PowerPoint that needs improvement, I think word and excel in quick office, office suit and kingsoft is good enough and might be even better than Microsoft office on hand phone. Those android app not only offer integration with skydrive but also Google doc and various cloud storage( majority of student uses Google doc in singapore ). Microsoft just dug a hole and buried themselves. Not support in my Xperia Z Ultra, assume not support all 1080p phone. be patient folks office mobile for Apple android tablet is coming But Microsoft's main problem in tablets is that to run Windows 8 or the new better Windows 8.1 Microsoft tablets and it's OEM's Windows 8 tablets have to use Powerful PC/server rated Intel/AMD x86 CPU's Folks these PC/Server rated CPU's and their Chipsets are not Cheap so do not be stupid enough to think that you can buy a good Windows 8 or 8.1 Tablet for less than 400 to 1200 dollars because of this I guess Windows tablet will sell slower than . Apple and Android Tablet because they can run on cheaper ARMS CPU Tablets.It is sad that the Windows RT tablets do not sell well it runs on the cheaper ARMS CPU tablets but 99.9 percent of Windows programs are for x86 Intel/AMD CPU's WOW folks how can Microsoft make their tablets cheaper! I was excited until I Googled the subscription. With Documents to Go, Kingsoft Office, OfficeSuite, and others, I can't see paying MS for this. If they would have just charged a single purchase that was reasonable, I'd buy it but a never ending subscription I can't see happening.